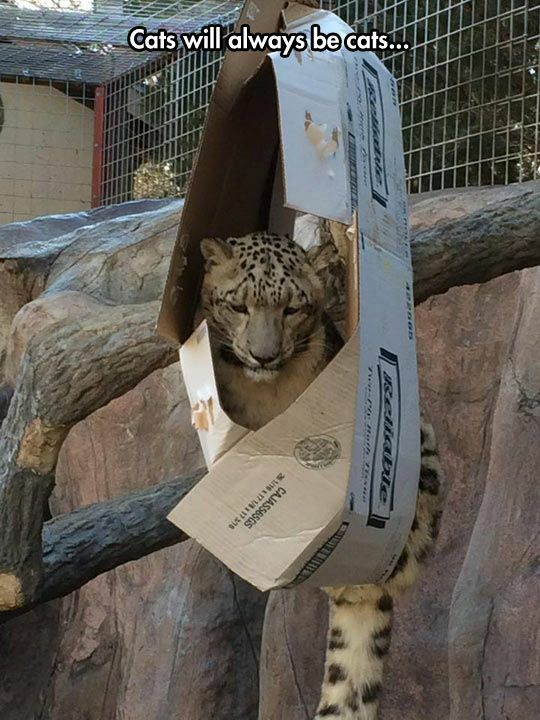 Cats' obsession with boxes remains a mystery. 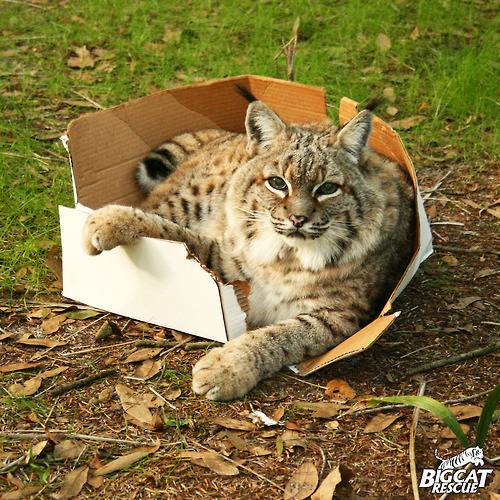 While some guess they like them because boxes make em feel secure, others speculate that it's their hunting instinct kicking in, and they see box as a perfect place to hide and ambush anything passing by, including your foot. We've already seen that no place is too tight for them, now it's time to show you that even their bigger feline relatives are not that different. Whatever the reason behind their love of boxes is, one thing is certain: there’s hardly a place more fitting for some quick doze-offs. Ain’t it right? Big boxes, different shaped boxes, and small boxes - they simply adore them! If you place a chair, a shelf full of books, or a box in front of any cat specie - it will quickly choose its majesty called - THE BOX! It’s really easy to get lost in there. Cats, no matter their level of wildness, do enjoy their hours of sleep. Give them a cozy place for sleeping and they will sleep up to 20 hours a day. Even the king of animals - the magnificent lion is one of the laziest creatures in the world. 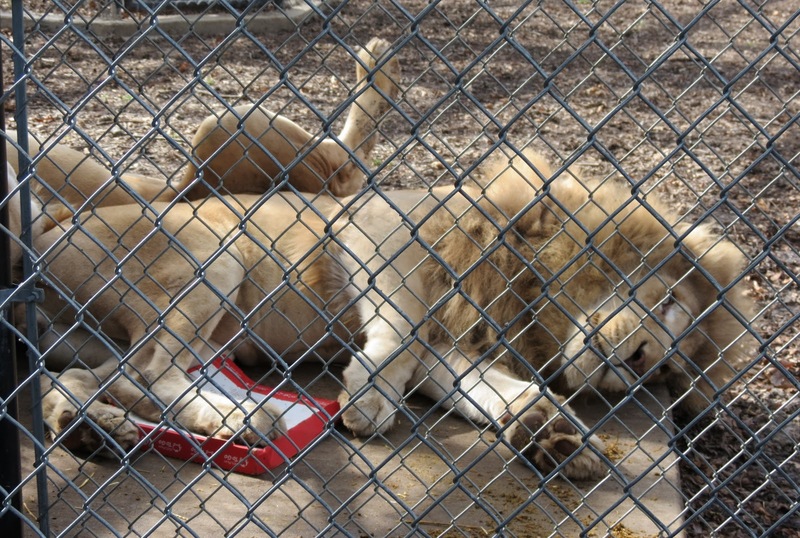 He certainly knows what is a good life - sleeping, chilling and resting all day, and the lionesses will bring him food. If they can’t curl up inside, they might as well catnap beside a box. Either way, the relation between boxes and naps is undeniable. The box is considered for their teddy bear! Most of the cats will search for their own toy-box and bring it to their “bed”. 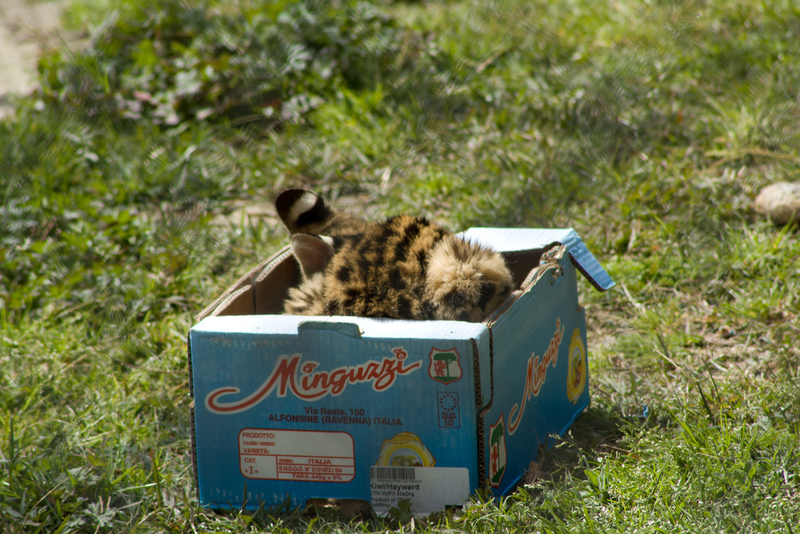 They like boxes because they’re cryptic animals - that means they love to hide. That small place gives them a feeling of security and safety. Remember when you couldn’t find your very pregnant cat? That happened because she was searching for a safe and hidden place where she could give birth to her kittens. She would never do that in front of the others. In cats’ world, you’re never too old for this kind of stuff. Even big cats can get afraid and it has been scientifically proven. None of the cats likes the feeling that someone is behind their back. Anything wanting to approach them must be in front of them or in their field of vision. So, the conclusion is that cats like hidden spaces because they allow them to watch the world around and that no one is going to interrupt and surprise them. 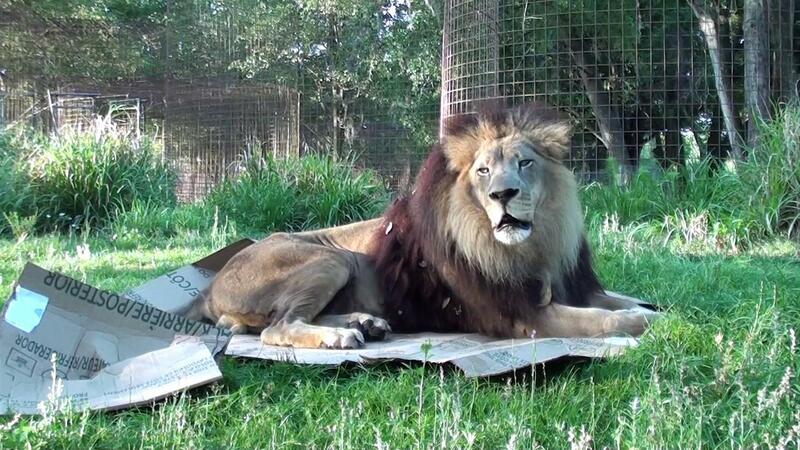 The sun bathing his golden hair, this lion found an unusual use for a box. Although he is chilling, he wouldn’t like something interesting to pass in front of him. Whether it is a prey or a toy - he will dash out to get the mysterious object, and then return to his residence - a lovely shaped box.